Here we examine the most recent 2-years’ worth of data for the Martinsville, IN real estate market. Statistics include such key indicators as average list price vs. sold price, time on the market, average price per square foot, total pending sales, total closings as well as total homes for sale. You can view market reports for other Central Indiana towns and cities by clicking on any of the navigational links below the last chart on this page. This chart shows the the total number of Martinsville homes for sale each month over the most recent 24 months. 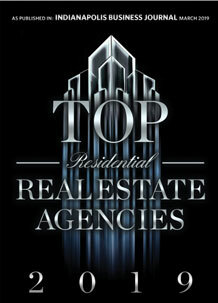 Total closings and pending sales for each month are also shown. This graph displays the average price per square foot by month for homes that have sold in Martinsville over the last two years. The following chart shows the average number of days homes spent on the Martinsville real estate market in the most recent 2-year period. Also shown is the final sales price expressed as a percentage of the final asking price. This 5-year chart compares the average list price of homes on the Martinsville market to the average ‘sold’ price.